Coach Kyle and Finish Fast Cycling offer several levels of customized coaching from $119 to $399 per four week month. All plans are goal based and customized for each athlete with Kyle's unique workouts and training. In addition, lots of pre-built retail plans are available to help all levels of racers get through the winters or to help prepare for an event when private coaching is not the answer. He also offers 1-on-1 package plans, physio testing and hourly private plan review as needed. Coach Kyle Wolfe is the head coach and Performance Director for Finish Fast Cycling(www.finishfastcycling.com). A competitive athlete since the 4th grade, Kyle has been racing bicycles (and triathlons!) since 1985 with hundreds of wins and countless podiums in all styles of endurance sports. Now however, Kyle's racing takes a backseat to the dedication and focus he gives his athletes every single day. He is a USA Cycling Level 1 licensed coach with distinction and Power Based Training Certified. 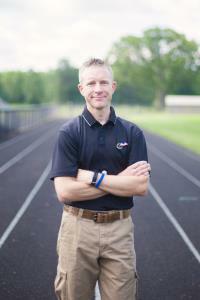 Coach Kyle is also an USADA Coach's Advantage Certified Coach and a USOC Safe Sport Coach. He is also a Training Peaks Level 2 certified coach. In addition to coaching athletes, Kyle is also the Camp Manager and Head Coach of USA Cycling's New England Regional Talent ID Camp as well as their National Women's Talent ID Camp held at the Olympic Training Center in Colorado Springs. Specializing in giving the opportunities for young riders to find their place in the pipeline, Kyle travels the country to search out and work with junior men and women cyclists. He brings his experience and expertise to the races themselves as the Team Director for domestic UCI professional teams as well as the USAC-East squad at the Junior Tour of Ireland. Downloadable HRM or power meter and a positive attitude! Success. Coach Kyle J Wolfe has been notified of your message. Zwift Ready 2012 Tour de France only indoors, during the winter and without licensing permission. To hire Kyle J Wolfe as your coach, select the coaching service that is right for you.